The Wellness Fee is a mandatory fee charged to all registered students that helps to offset the costs of the Student Health Service, the Counseling Center and other university departments that enhance student health and wellness. Our portion of the Wellness Fee enables the Student Health Service to provide prevention and health promotion programs and education – at little or no additional cost to students of the Oakland Campus. It also covers the co-pay required of most insurance policies. The Student Wellness Fee appears on your student’s tuition statement that is automatically generated from the Registrar. All Full-time and Part-time undergraduate, graduate and professional students are required to pay a mandatory Wellness Fee each semester. The Wellness Fee is determined by Full-time and Part-time status during a semester. $130/semester is applied to the Fall, Spring and Summer Terms. $65/semester is applied to the Fall, Spring and Summer Terms. Medical Students follow a specialized different fee schedule. Undergraduates: 12 credits or more. Graduates: 9 credits or more. Undergraduates: 11 credits or less. Graduates: 8 credits or less. All Full and Part-time students that somehow were not automatically billed for the Wellness Fee, will need to purchase the Wellness Fee prior to using the Student Health Service. Therefore, these students may request to purchase the Wellness Fee when paying their tuition bill or in person during a visit to the Student Health Service. Student Health Service now accepts health insurance as payment for services. Our services are generally covered by many insurance companies. We will file a claim to your insurance company for services rendered. To expedite your visit, present your medical insurance card and Pitt ID upon arrival. As a provision of your Wellness Fee, you will NOT be charged a co-pay. Your insurance company, however, will determine that some or all of the charges incurred will be covered by your policy. Although medical insurance coverage is not mandatory for all students, it is highly recommended. In accordance with the Affordable Care Act, students are expected to maintain adequate medical insurance during their enrollment at the University. 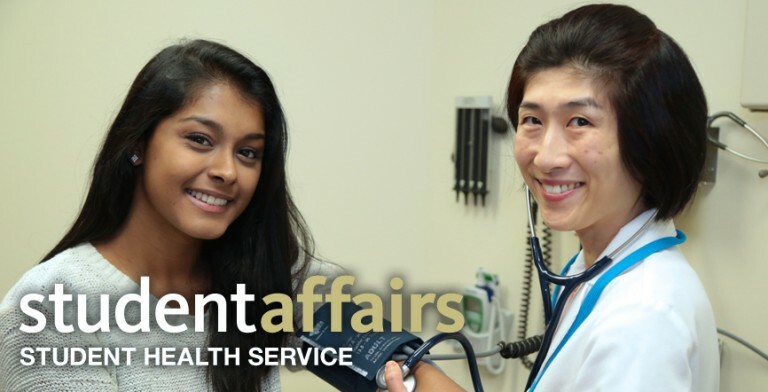 The Student Health Service is designed as your source of primary health care during your student years, and we will bill your health insurance for services provided at the Health Service. Health insurance is also needed in the event more extensive medical treatment or emergency care is needed at other facilities. Optional, third-party health insurance policies are available to all students to provide additional major medical benefits for these situations. The University has negotiated with the UPMC Health Plan to offer a comprehensive affordable health insurance plan for our students. We encourage you to consider the UPMC Health Plan if you do not have coverage as a means to protect yourself against unexpected, unforeseen medical expenses. Should you not have health insurance, you can contact the University’s Benefits Office (412-624-8160) and inquire about the UPMC Health Plan for students. For further information about the UPMC Health Plan, call 1-888-499-6885. It is our policy that all international students must carry medical health insurance while matriculating at the University. International students have the option to purchase the UPMC Health Plan or provide evidence of private health insurance coverage. Failure to do so may prevent registration for the following term.